99% Completed Brand New Arts & Craft Colonial masterpiece built by award-winning builder Douglas Construction Group (voted Best Green Builder (2014) & voted The Face of Custom Homes (2016) by Bethesda Magazine readers). Almost 12,000 sf lot. Too many Douglas Construction Group WOW details to list! Over 7,000 square feet on four levels. 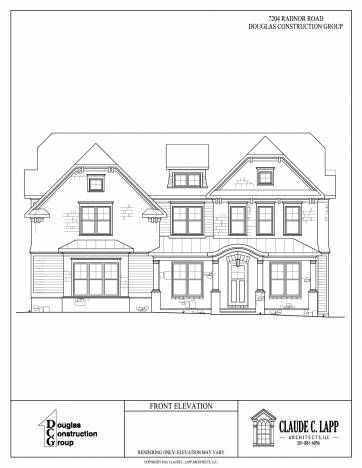 This market desired floor plan features 6 bedrooms, 6½ baths, huge great room with fireplace & built-ins, gourmet kitchen and over-sized island, large breakfast room, private study, second level family room, covered porch with fireplace, and so much more. Huge lot in the Whitman district at ALMOST 12,000 square feet! Completely customized to the new Owners tastes and preferences! DO NOT MISS OUT!